Did you know today’s Tiggerific Tuesday Disney Trivia about Disney Animation?? Have you ever watched Disney’s Robin Hood and thought, hmmmm I think I have seen these dance moves before?!? And then I bet you said to yourself, ahhh I bet they used rotoscoping. Or maybe not…..
Well, if you did, then you were right, Disney did just that when creating Disney’s Robin Hood and other classics. Rotoscoping is a technique which animators trace over footage of live actors, frame by frame, allowing them to capture realistic human movement. 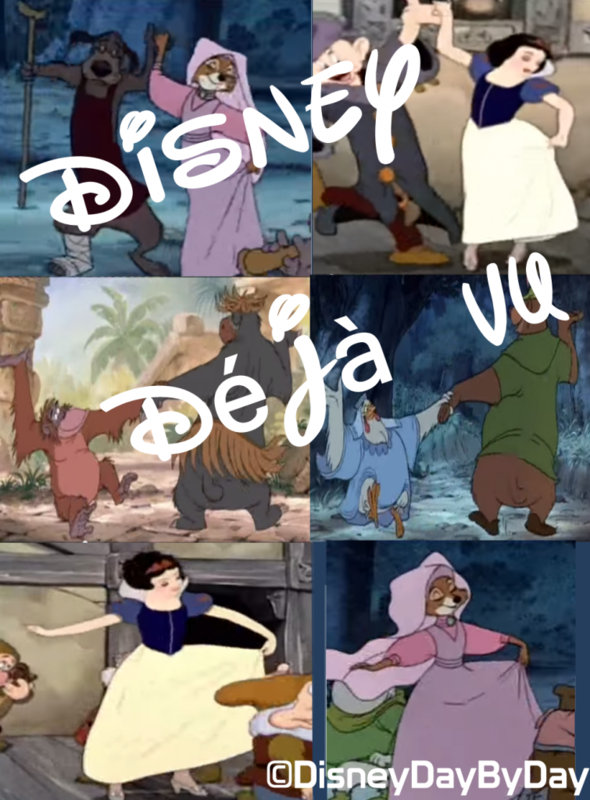 It also lets animators recycle movements for use in characters on different films. So next time you sit down to watch a Disney classic pay attention to those moves, you just might see them sweeping the animation nation. On all of our Disney trips I carry a backpack full of camera equipment and a few snacks, but the heaviest part of the backpack is the water we tote around for later in the day. 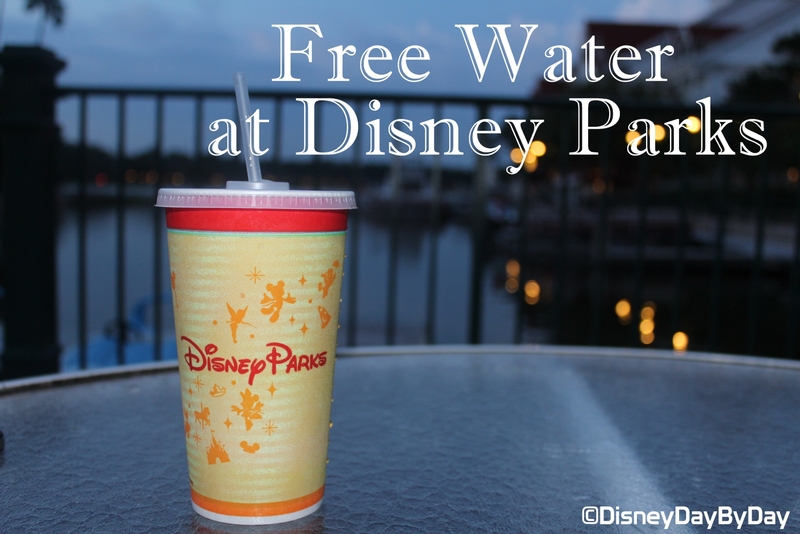 It’s Disney and it’s hot so that water definitely comes in handy, but did you know that you don’t have to tote this water around, you can find free water on Disney Property? No, I’m not talking about the water fountains or opening up your mouth and allowing the elephant to spray water in your mouth at Casey Jr’s Spash and Soak Station. This is really cold, fresh and free water, just head into any quick service location and ask. It’s that simple. They cannot give you a bottle so asking at the small outside vendors will not work, it has to come in a standard Disney cup with lid and straw. So next time you are feeling the heat but don’t want to open the wallet, head into a quick (counter) service food location and ask for that cup of water. 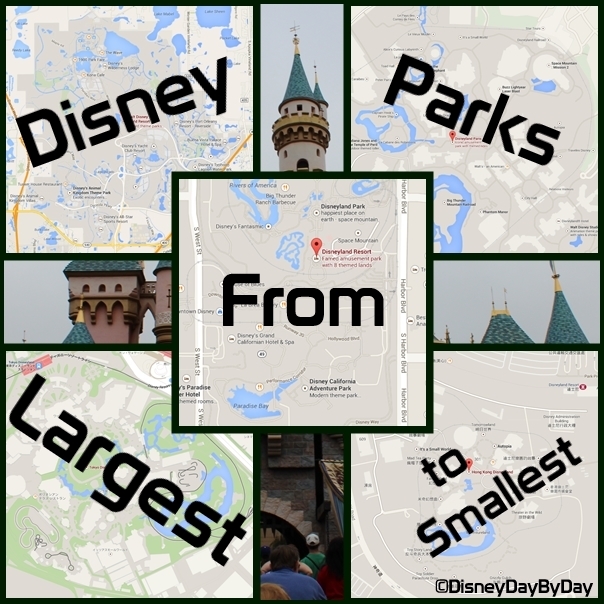 Many of us love to travel with our extended family to Disney or we let our families know that we are planning a Disney trip and they just invite themselves, who isn’t looking for any reason to travel to Disney. 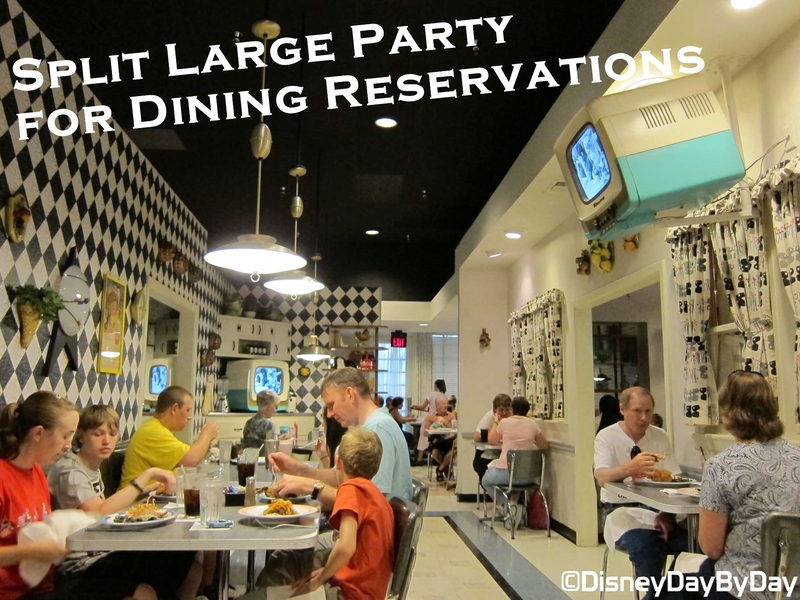 As your travel party grows you may find it hard to book your favorite restaurants. Some restaurants are configured in such as way that there are few places for large parties, which make these reservations hard to come by. One thing to consider when you aren’t able to get in is to split the group. Yes I know it sounds drastic, but if you split the group and are able to get times that are close to one another you can request tables next to each other when you check in at the restaurant. You may have to wait an extra minute or two to get in as they get tables next to each other, but this saves you from missing your favorite restaurant. 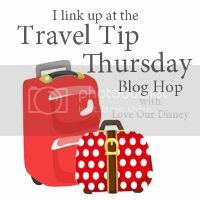 This week we have linked up on the Travel Tip Thursday Blog Hop with our friends at Love Our Disney. Be sure to hop through and check out the other great tips. Tiggerific Tuesday Trivia – Who was Pinto Colvig? Pinto Colvig worked for many studios including Warner Brothers, MGM, and Disney Studios where he directed a few of our favorite cartoons. But Pinto was best known for his voice. Which characters did Pinto Colvig provide a voice for? The answer is E – All of the above, Pinto was the original voice of Goofy and also the original Bozo the Clown. During his career he was the second voice for Oswald the Lucky Rabbit and the Practical Pig in Disney’s Three Little Pigs short. His voice can also be heard in Snow White and Seven Dwarfs as both Grumpy and Sleepy. I always love to hear all the characters a single person voiced in these classic cartoons. 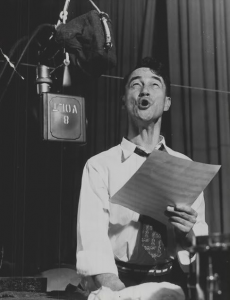 What is your favorite classic voice? 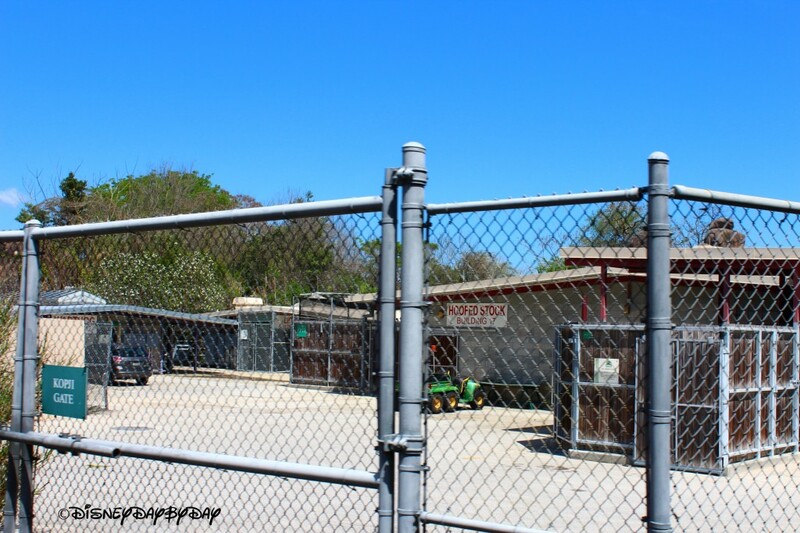 The Animal Kingdom is an amazing park, we love to ride the Safari and see which animals are out and about at different times of the day. But what happens at night? Well you are about to find out as the Animal Kingdom has recently announced Harambe Nights and the Rivers of Light Nighttime Spectacular. Harambe Nights includes seating for a performance of The Lion King – Concert in the Wild, a welcome reception with food, live music, drinks (including wine and beer), special merchandise, character greetings, and to top it off a special finale. 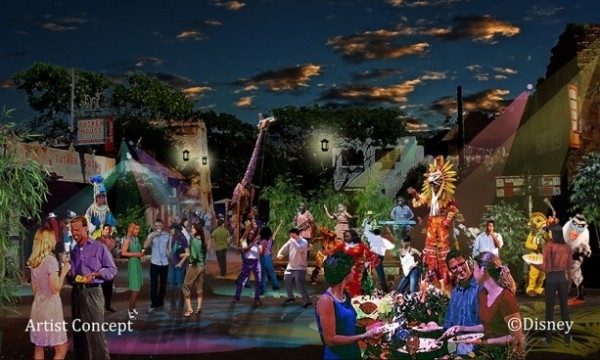 Harambe Nights does cost extra ($119 Adult and $79 children) and will only occur on certain nights this summer. Please consult Disney’s Website for dates and more information. 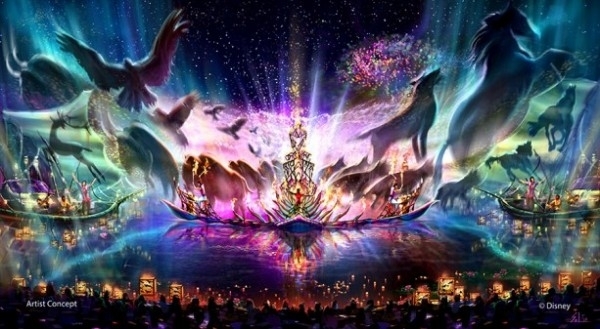 Rivers of Light Nighttime Spectacular – will be the first night time show at Animal Kingdom and will feature floating lanterns, water screens and animal imagery. The show will be in the larger body of water between Discovery Island and Expedition Everest. Dates have yet to be announced on when this will begin. Ok, I know what you are thinking. We will be parting it up but what about the safari animal, which brings us to today’s trivia….. Where do the Safari Animals go at night? Did you know each of the animals have their own call to return to their nighttime enclosures? If you ride the Wildlife Express Train back to Conservation Station you will see some of their nighttime accommodations. All the animals are trained to a certain sound (bells, hands clapping, etc) that indicates that it is their time to return home. The animals are trained so well that the process only takes about 1 hour each night to get everyone tucked in for the night. Simply amazing isn’t it?